Rotary Matters goes to air on community station Triple H 100.1 FM, on Fridays at 3 pm. 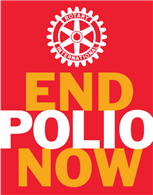 The idea is to attract interest and engagement from non Rotarians. Each program features an interview about a prominent Rotary topic eg Shelterbox, National Youth Science Forum, Pride of Workmanship Awards, MUNA, ROMAC, Interplast etc.